Windfalls | Sheltra Tax & Accounting, LLC. 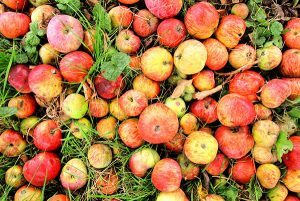 Did you know that a windfall refers to a piece of fruit that is blown from a tree? You get all the benefits of a nice snack with none of the climbing or stretching and picking. Most of us know about windfalls in connection with money—that unexpected good fortune that puts a large sum of money into your hands. Turns out, it’s unexpected good fortune for the IRS too, which will want its portion. In fact, it’s likely that today’s income reporting setup means the government will probably know about your (legal) largesse before you do. When you’re making your celebratory telephone calls, make sure to include one to your tax consultant, who will have strategies to help you to hold on to more of the fruit. Writing that tax check can be painful, but if you do it before the end of the year it will help you when federal tax season rolls around. State tax is deductible, and if you make that payment before Jan. 1, 2017, it will work for you in the 2016 tax year. Presumably you’re not going to win the lottery in consecutive years, so a tax deduction for the 2017 tax year won’t do you nearly as much good. Now for the federal bite. There will be a 25 percent withholding from your lottery prize. That may seem like a lot, but it gets worse. You’ll wind up paying the top tax rate of 39.6 percent on what the government considers “ordinary income.” That means you’ll have to set aside an additional 14.6 percent to cover that bill. The rule is, always: you’ll pay for good advice but you’ll pay more without it. This entry was posted in Blog, Taxes and tagged income, lottery winnings, taxes, windfalls on September 30, 2016 by Diana Sheltra.